Our Classic Wide Plank Long Leaf Heart Pine is offered in varying grades that are ideal for anyone with a love of pine but would like a floor that is comparable to the durability of a hardwood. 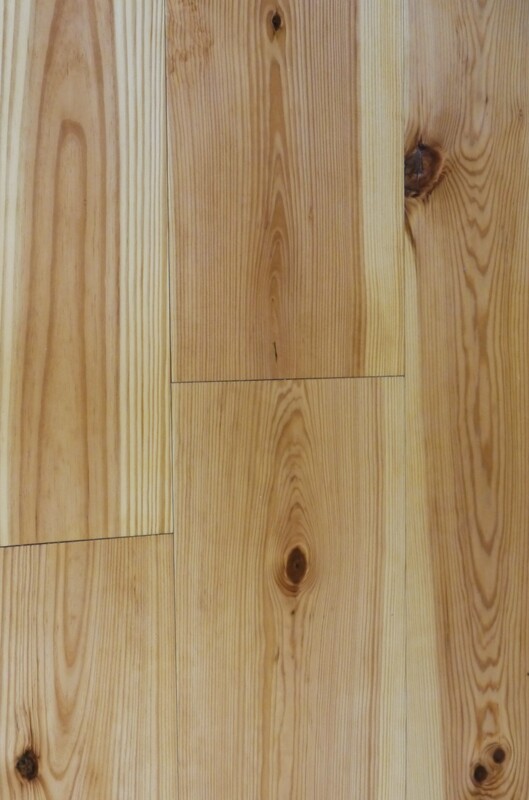 We offer multiple grades of heart pine. Our Sawyer’s Cut will contain sound knots, rich heart content and varying degrees of sapwood. The select grade allows for a cleaner look with rich red heartwood tones and minimal knots. Completing this floor with an oil-based finish is recommended. An oil finish will allow the natural red and yellow hues to contrast and will enhance its natural beauty. Long Leaf Heart Pine is found in Southern U.S. where its climate is ideal for the growth and cultivation of heart pine timber. A Long Leaf Heart Pine tree can grow upwards of 120 feet and its resinous aspects make it one of the most popular trees involved in turpentine production.